Rob and Lynn are both Labour Party councillors representing the people of the Blackhall Division of Durham County Council, which includes the villages of Blackhall Colliery, Blackhall Rocks, Crimdon, The Hesledens, Castle Eden, Station Town and Hutton Henry. This news page will keep you up to date with just a few of the activities Rob and Lynn are involved with at county hall and in the community. We always put the interests of our people and communities first. Residents in County Durham are reminded that there will be no change to bin collections over the Easter bank holiday. Bins should be placed at the kerbside by 7am as normal on your usual collection day during the weeks starting Monday 15 and Monday 22 April. Customer Access Points and most other county council buildings in County Durham will be closed over the bank holiday. They will close at 4.30pm on Thursday, 18 April and reopen at 8.30am on Tuesday, 23 April 2019. In the event of an emergency, residents can still contact the council on 03000 26 0000 or use the 24/7 automated payments line on 0300 456 2771. If you are concerned about someone who is vulnerable or at risk over the bank holiday period, you should contact the emergency duty team on 03000 267 979. Online services will still be accessible over the Easter period but requests may not be processed until council offices reopen on Tuesday, 23 April. Leisure centres will be closed on Good Friday and Easter Monday and are currently operating holiday timetables. Durham County Record Office will close at 8pm on Wednesday, 17 April and reopen at 8.45am on Tuesday, 23 April. The Park and Ride service will not operate on Good Friday or Easter Monday. It will operate as normal, from 7am to 7pm, on all other days except Sunday, 21 April. Register offices will be closed on Good Friday and Easter Monday. Libraries will also be closed over the bank holiday weekend, resuming normal opening hours from Tuesday, 23 April. Children’s centres, Pathways day centres for adults and the Welfare Assistance Service will operate normal opening times on Thursday 18 April and will then close for the Easter break, reopening on Tuesday, 23 April. There will be no change to opening times for Sevenhills DLI Collection. Visit www.durham.gov.uk/easteropening for more information and updates on Durham County Council services during the bank holiday. Residents can also keep up-to-date with any changes to council services by following @durhamcouncil on twitter or durhamcouncil on Facebook. Various rumours about the potential future use of Chimneys (known locally as The Trust) on East Street in Blackhall Colliery have been circulating around the village for a few weeks now and a query was raised at the most recent PACT meeting held last week (please see post dated Thursday 21 March 2019 for background details). Since then we've made a series of enquiries with the council to see if anyone has contacted them to seek advice on which planning permissions may be required to change the use of the property to another type of business, and on each occasion the council has confirmed that no one has approached them in relation to the building or any future use. Further to your email we have today visited the site. We managed to catch the owner of the property and he advised that he has granted a lease to a company who currently operate a facility in a village nearby. He gave us their contact details and requested that we liaise directly with them. We have managed to speak to the company who confirmed the information given to us by the owner. They have a lease to occupy the property from 1st July. They briefly outlined their intention to close their existing facility and open this one as a replacement. They operate primarily day care for persons with learning disability and sensory impairments to encourage them to strengthen social relationships within the local community. They will mainly be there through the day but there would be some respite with overnight stays for children/young person so parents/families can have a break . We have formally requested that they send in further information and they have agreed that they will send in an email. Once we have this we will be able to establish the precise nature of planning permissions needed and will endeavour to get a quick submission of an application which will hopefully quell some of the rumours that are currently circulating within the community. I trust that the above is of assistance but please give me a call if you have any queries. We've asked the planning department to contact us as soon as the required information has been processed and we'll update progress as soon as we have any additional information. During the course of last year we published a number of articles on this site about Durham County Council's plans to regenerate Crimdon, including details of a scheme developed by the Heritage Coast Partnership to build new public facilities. In particular we referred to a funding bid that the council and partnership were putting together to submit to the Coastal Communities Fund (please see posts dated Wednesday 14 November, Thursday 26 April and Monday 19 March 2018 for background details). 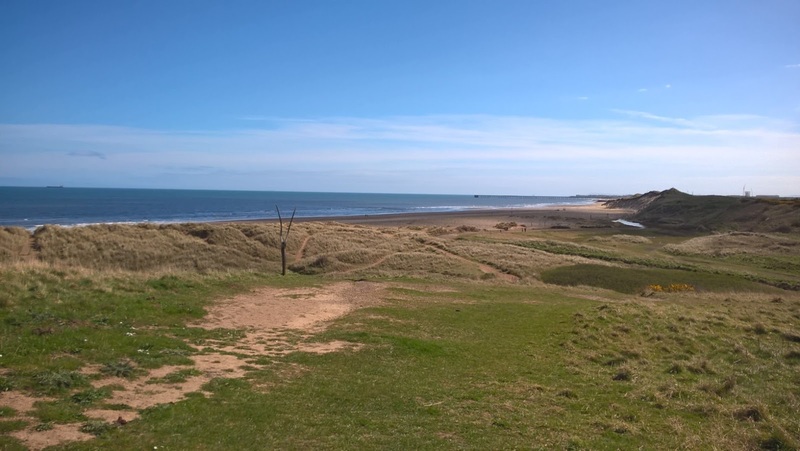 Yesterday the Heritage Coast Partnership received confirmation that its bid to the government's Coastal Communities Fund had been successful, with funding totalling £1.325m awarded towards the scheme's total costs. During the coming few days we will contact the council and the partnership to discuss the next phase of the project and then publish further information about the next steps of the scheme as soon as possible. 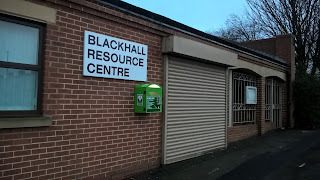 There was a sharp and sudden increase in reports of crime and anti-social behaviour incidents in specific parts of Blackhall Colliery over the past few weeks, resulting in a higher turnout than usual at the Blackhall PACT (Police and Communities Together) meeting held last night at the Resource Centre. Most of those in attendance last night came along to report incidents of criminal damage, mainly to cars and other vehicles, in a number of streets over the past few weeks. Incidents reported included deliberate scratching of vehicle paintwork, damage to car parts such as wing mirrors, an incident of slashed vehicle tyres and even a reported incident of vehicle theft. Police assured residents that all those incidents reported would be logged and followed up in due course. As ever, the main message from the police is to report each and every incident. Even if officers aren't able to call out immediately, an accumulation of reports in a particular location raises its profile for police attention. Once again concerns were raised about the increasing number of crime and anti-social behaviour incidents which appear to be associated with people who are new to our village. Residents were keen to know whether the police or the council had any direct influence over private sector tenancies. It was noted that there were similar concerns raised a year ago when there had been an increase in reports of anti-social behaviour in parts of Blackhall. 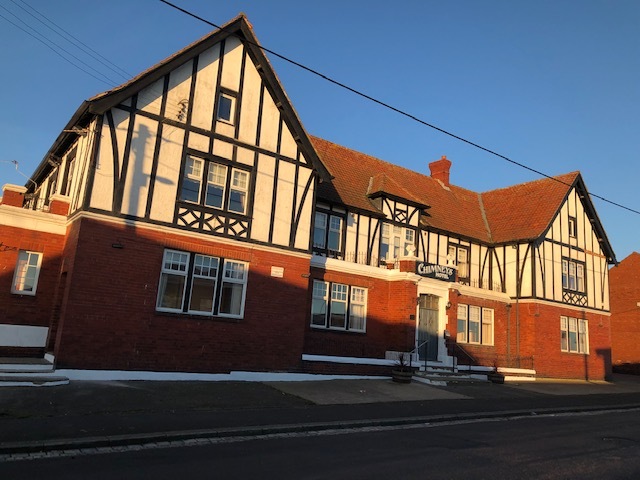 Residents expressed concern that currently a private sector landlord, often absent and with no connection to our village, is allowed to let a property to a prospective tenant without first having to ask for a reference or require a bond. I advised that, partly as a consequence of concerns raised last year, the council was currently collating evidence in preparation to submit a bid to the Secretary of State to introduce a Selective Licensing Scheme across the county. Amongst other things a Selective Licensing Scheme requires all private sector landlords to hold a license before they are allowed to offer a prospective tenancy. It enables the authorities to quickly identify and contact landlords or agents in the event there are any issues associated with their tenants. It also gives the authorities some leverage in holding irresponsible landlords and agents to account. In addition it offers certain benefits to property renters while giving added protection to tenants of unscrupulous landlords. It has proved to be successful in other parts of the country, most notably in Liverpool and the London Borough of Newham. The scheme is expected to be in place later this year or early next, as soon as the Secretary of State gives the go-ahead (please see post dated Thursday 11 October 2018 for additional details). 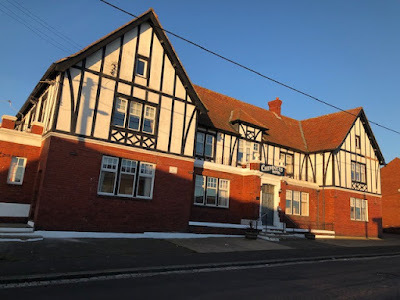 Finally, residents enquired about several different rumours circulating the village that The Trust Hotel was about to be passed over to new owners and reopened as a bail hostel (there are several other rumours about its potential use, but far too many to mention here). I advised that I had contacted the planning department at the council to ask if any enquiries had been made with them about "change of use" consent, which is normally required when an owner wishes to change the use of his or her property. The planning office confirmed that as of last week no such enquiries had been received. This doesn't necessarily mean that nothing will now happen of course, it simply means that there has been no formal approach made to the council's planning department and therefore everything at the moment is pure speculation. I have asked to be notified if or when any such approach is made because under most circumstances an application to the planning section triggers a statutory period of public consultation during which local residents and businesses will have the opportunity to comment on any proposals put forward. Watch this space. The council has been asked to process a series of phased temporary road closures at the A19 Sheraton interchange next month to allow for highway resurfacing works to take place. 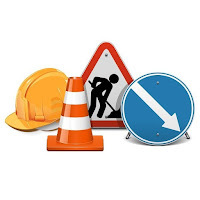 For the duration of the works traffic will be redirected through Blackhall, Horden and Peterlee. I have been asked to process phased temporary road closures of A179/B1280 at Sheraton Interchange for overnight (8pm-6am) carriageway resurfacing works from Tuesday 23/04/19over 13 nights as attached. 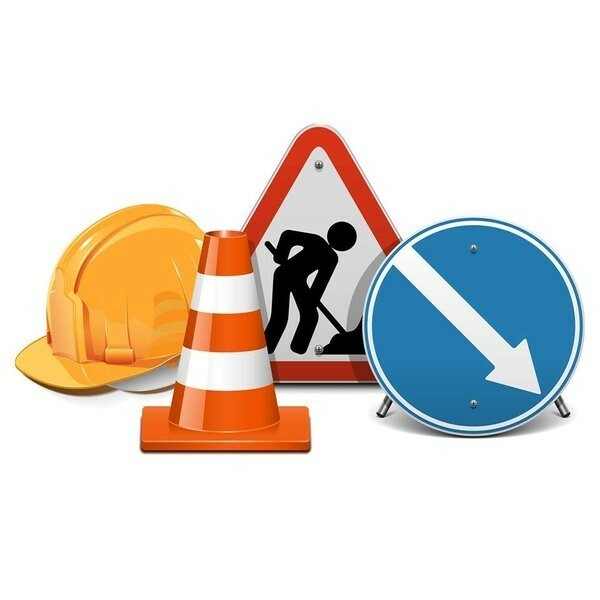 Diversions will be signposted from Hart Road via A1086 though Blackhalls and Horden and B1320 through Peterlee to A19 to B1280, and also from A19 to A181 / returning on A19 s/b to A179. Can you let me know if you have any concerns or comments. Notification has been received confirming that the closure order for Footpath 24 (Gray Avenue, Front Street, Haswell to Hart Walkway) has been extended until no later than February next year to allow for completion of works on site (please see post dated Thursday 21 February 2019 for background details). 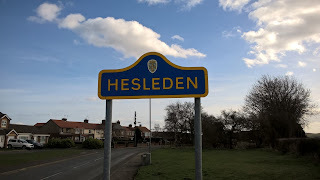 I refer to my previous correspondence relating to the temporary closure to pedestrian traffic of the 496 metre length of Footpath No 24 that extends southwards (crossing the Haswell-Hart Countryside Walkway) from its junction with Gray Avenue/Front Street, Hesleden. As the works have not yet been completed it will be necessary to continue the closure in force by means of an extension of the Order under Section 14(1) of the Road Traffic Regulation Act 1984. The extended closure will be effective from 1 April 2019 up to the end of February 2020 or until the path is safe to re-open whichever is the sooner. This continuation has been approved by the Secretary of State for the Transport.